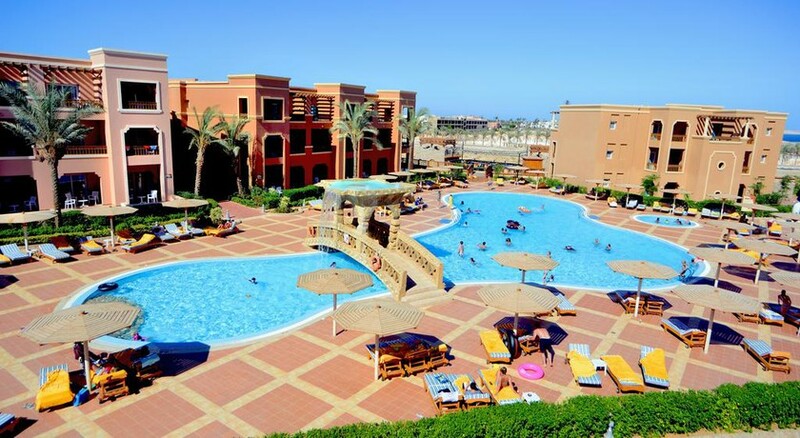 Book a stay at the Charmillion Club Aqua Park to give your family the Sharm El Sheikh holiday experience they will never forget. Complete with its own water park, children and adults alike are certain to enjoy the many thrilling waterslides, wave machines and rides available just moments from the accommodation. 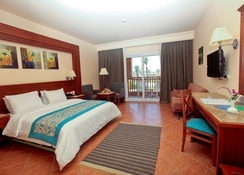 Located less than 1km from the Red Sea beach and coastline, guests can enjoy the outdoor swimming pool, on-site shopping, sun terraces, numerous restaurants and bars and dedicated children's club and entertainment when staying at Charmillion Club Aqua Park. The resort also provides access to a private beach for guests where you can make the most of Sharm’s amazing coastal location. Sharm El-Sheikh Airport is just 5 minutes away, meaning you can be at your resort and unwinding from your travels soon after arriving in Egypt. 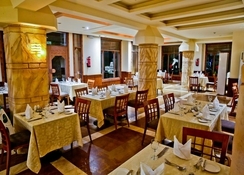 There is an excellent array of fine restaurants both on and off-site. 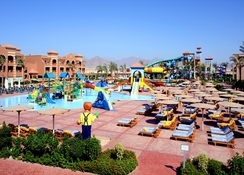 The Charmillion Club Aqua Park also offers a free shuttle service to Naama Bay, Sharm’s delightful beach area. Accommodation at Charmillion Club Aqua Park is available in four configurations: Duo Rooms, Standard Rooms, Family Rooms and Family Suites. All rooms and suites are furnished to a high standard of quality, with amenities that include a television, air-conditioning, mini-fridge and coffee making facilities. Each room can accommodate at least two adults or be chosen to sleep two more children, while the flagship Family Suite features a separate living area. Some rooms add a private balcony. 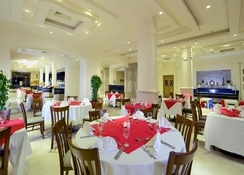 The main restaurant caters for breakfast, lunch and dinner, which features theme night dinners whilst the Italian Restaurant offers an excellent array of dishes from the a-la carte menu. If you just want to grab a drink, then head to one of the several hotel bars. The Terrace Bar is open 24 hours a day, so you can grab a refreshing beverage at any time of day. The Pool Bar is another great place to pick up a snack and drink whilst the Aqua Bar can be found close by the Aqua Park. You’re never far away from great fun at the Charmillion Club Aqua Park. With its own private beach just for guests you’ll have a great spot to relax and unwind as you look out over the deep blue waters. It’s also a fantastic place to go snorkelling or diving with a terrific array of sea life to be discovered. The Aqua Park features dedicated adult and children’s swimming pools as well as a wave pool. 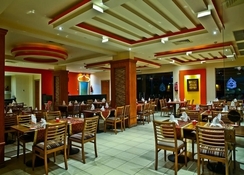 Children will also love the kids club and playground with dedicated staff overseeing their safety and enjoyment. Adults and children alike will love the on-site nightly entertainment programme with its multilingual animation team. And if that’s not enough you can check a host of other activities, from tennis to beach volleyball to water polo and much more.